That's a Black Mica Mazdaspeed! only 417 were manufactured, 26 more than the 394 Lava Oranges made, however I never see the black MSMs. Way cool! Thank you Brian and Good-Win Racing! 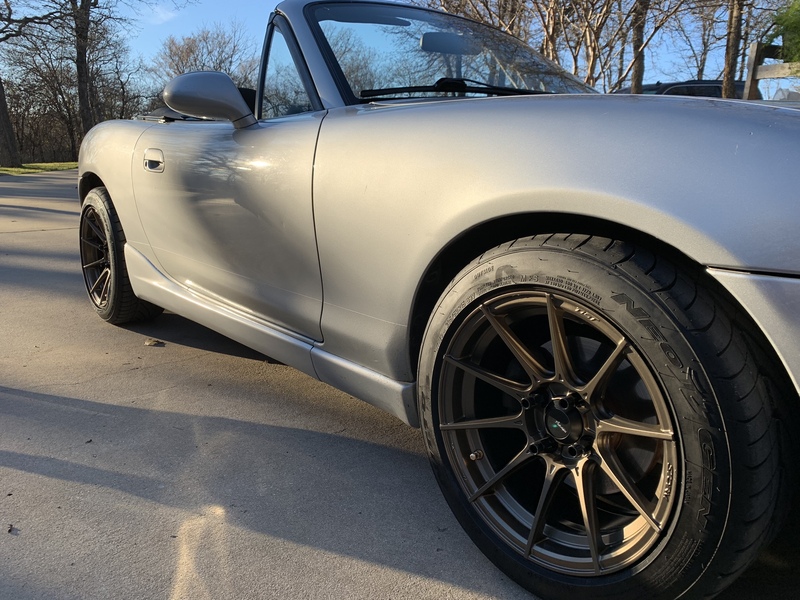 The matte bronze looks amazing with the 2000 NB Highlight Silver! 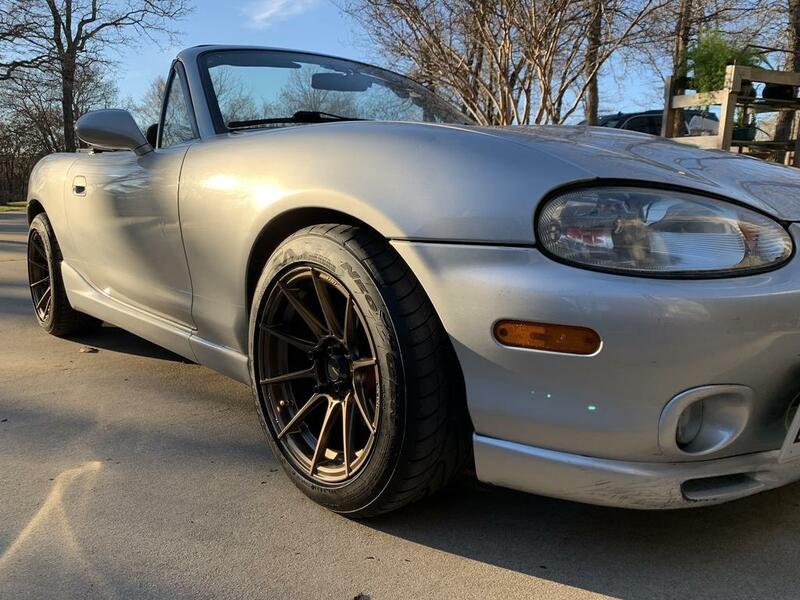 Thanks for your business and for posting the pics, your NB looks amazing! 500 more Advanti and Konig wheels today, will do our best to get preorders all on the way to customers today! Back in Stock 17x7 Storm S1 for SCCA CS.